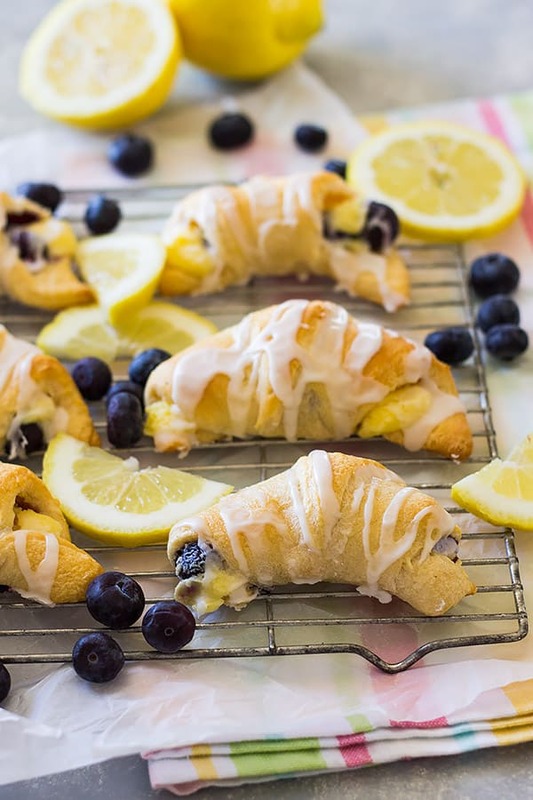 These Lemon Blueberry Cheesecake Crescent Rolls are made easy using store bought crescent dough. Then filled with a lemony cheesecake filling and fresh blueberries! 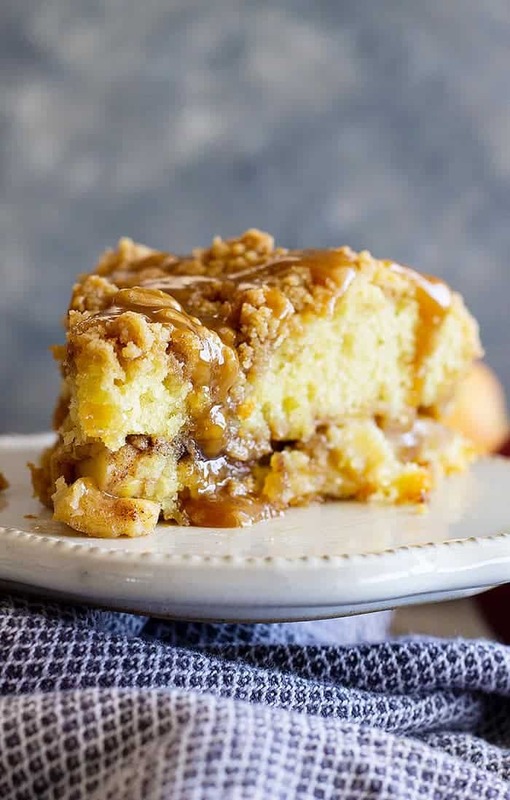 Perfect for breakfast, brunch or even dessert!! 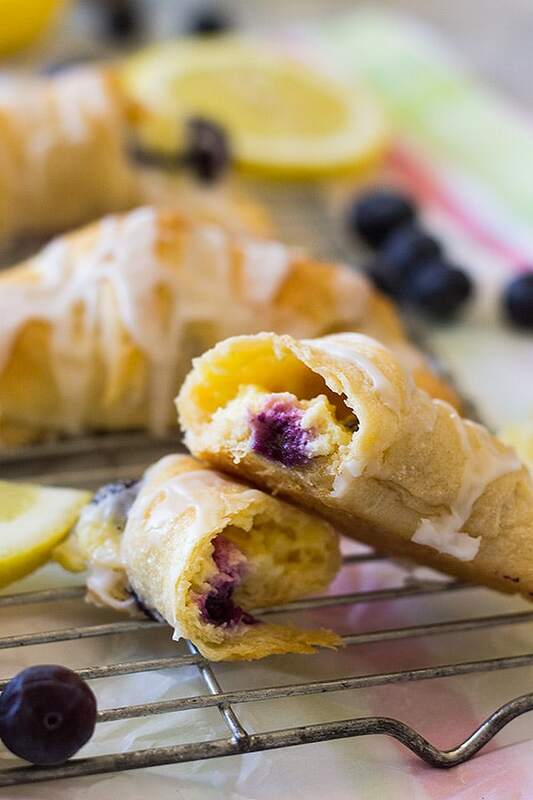 Ok, I am just going to come out and admit it…..I ate 5 of these lemon blueberry cheesecake crescent rolls in one sitting!!! I know, I know! My excuse is that little baby in my tummy has to survive, right?!?! I kinda wanted to just hide the rest from the family and keep them for myself, but I decided to share. I’m so nice. Ok, ok, I may have held a few more back for myself. These are probably one of the most addictive rolls I have ever eaten, no lie!! 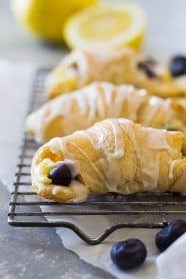 They are perfectly sweet, a little tart and the burst of blueberries puts them over the top. 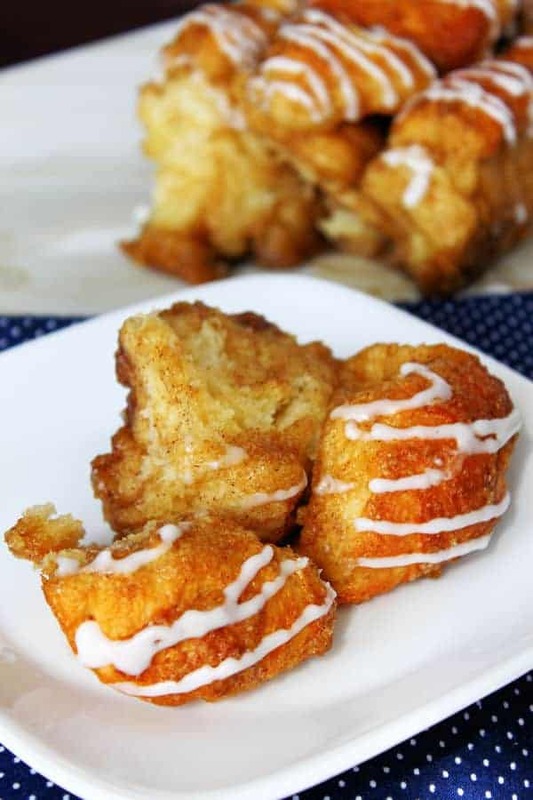 Also, not to mention this is all gift wrapped in nice flaky crescent dough then drizzled with a sweet glaze. I ask you what’s not to love! 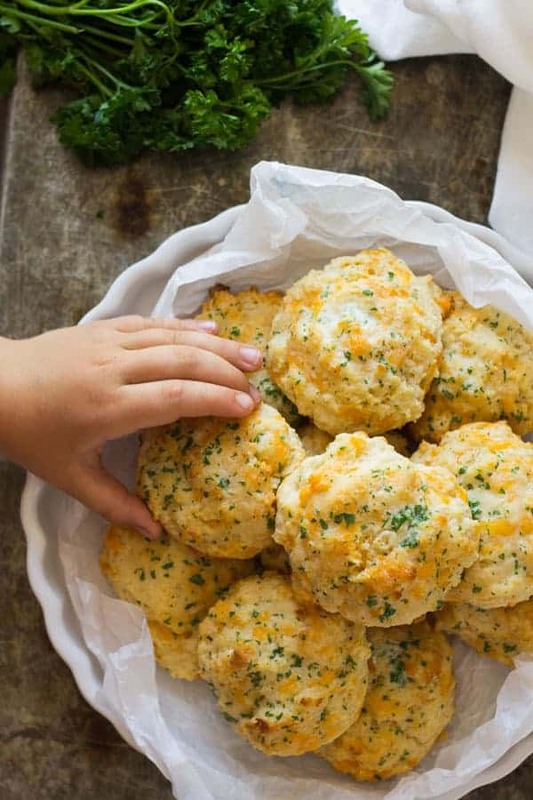 Some other great breakfasty/brunchy options are these Cinnamon Roll Muffins, Ham and Cheddar Biscuit Rolls, or these Ham and Cheddar Scones. I went the easy route and used store bought crescent dough. Hey, a girl needs a little help from the store from time to time and flaky crescent dough is one of them! For the filling, I used cream cheese, homemade lemon curd and fresh blueberries. You could also use store bought lemon curd but I highly recommend using homemade! It really isn’t that hard to make and it tastes amazing! When filling these I used a good heaping couple of tablespoons and make sure to get some blueberries in each one. I also didn’t obsess over trying to make these perfectly neat when I rolled them up. I kinda like the blueberries peeking out, gives them character in my opinion. After these come out of the oven let them cool completely before drizzling them with the glaze. I left an option to make the glaze with milk or lemon juice. If you want an extra lemony punch, go with the lemon juice. 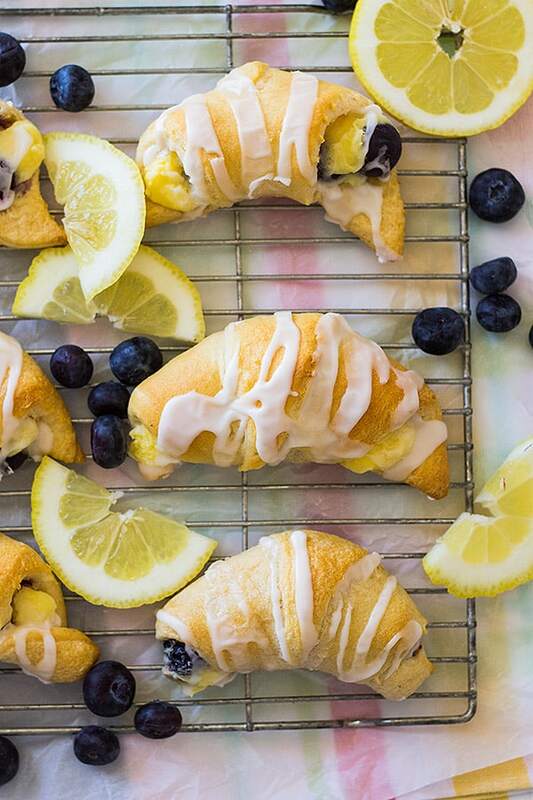 I think these lemon blueberry cheesecake crescent rolls would make a great addition to any brunch table. They would also make a great dessert, snack, or if you are like me and eat 5 at one time, meal, whoops! They will lift your spirits and give you wonderful springtime thoughts with their bright lemony punch. They would also be a wonderful addition to your Easter table and since they are so easy to make there is no excuse not to include them! In the bowl of a stand mixer beat cream cheese until smooth. Add in the lemon curd and beat until combined. Gently fold in blueberries. Unroll crescent dough and separate into triangles. Place about 2 tablespoons of the filling (making sure to get some blueberries in each) on the wide end of each triangle. Starting with the wide end roll each triangle up and place about 1 inch apart on a baking sheet. Bake for 12-15 minutes or until golden. Let cool completely. TO MAKE THE ICING: in a small bowl combine the powdered sugar and milk or lemon juice until smooth. Drizzle over cooled rolls. 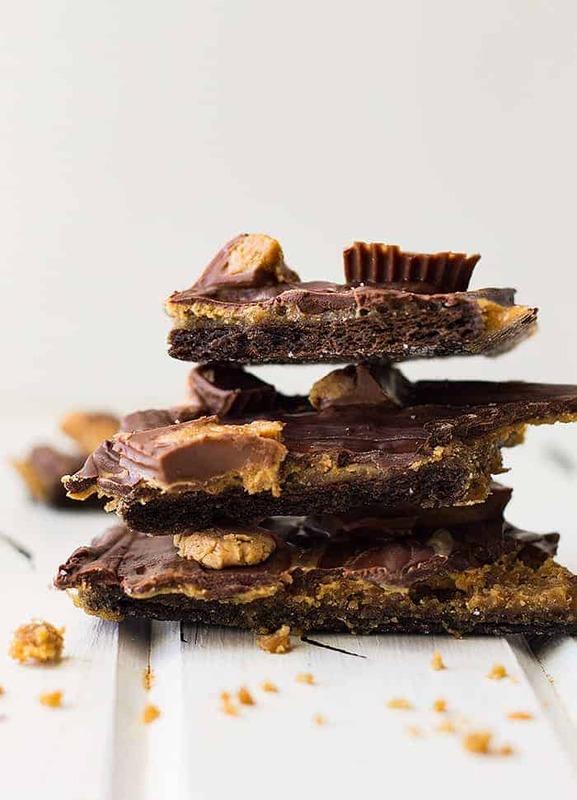 See this recipe on Julie’s Eats & Treats, where I am a contributor! Snap a pic and tag me on IG @countryside_cravings — We love to see your creations on Instagram, Facebook, and Twitter! Hi there, and welcome to Countryside Cravings. My name is Malinda and I love food! 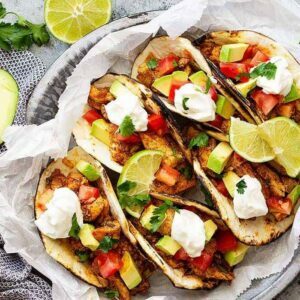 Here you will find recipes to please the whole family. I hope you’ll stay and have a look around. I’m going to eat all of these before my family gets to try, aren’t I? 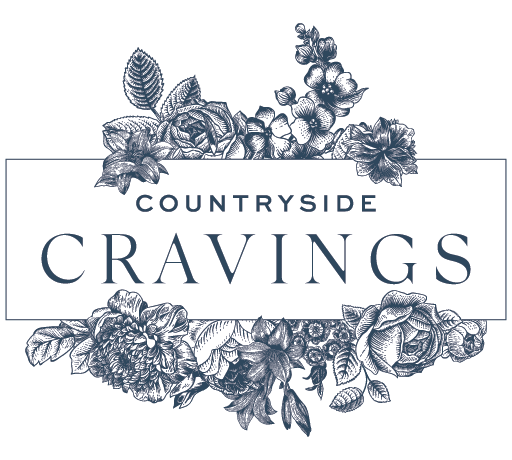 Hi, my name is Malinda and welcome to Countryside Cravings! Here you will find recipes to please the whole family. I hope you’ll stay and have a look around. Countryside Cravings © 2019. All Rights Reserved.